in providing helpful information for RVers and those pondering life on the road. So please browse these suggestions and feel free to share your own tips . Great advice and information for anyone shopping for an RV! Don’t miss it. RV Dump Stations: Lots of listings across the USA, Canada, Mexico, Central America, Australia, New Zealand and more. A handy RV resource. RV DVDs: Excellent RV resources for new and experienced RVers. The easy way to learn everything you need to know. RV Storage: Nationwide directory of RV storage facilities. RV Storage Preparation Checklist: A printable RV storage preparation checklist. Very helpful. RV Ride Control: New High Performance Products for Fifth Wheels and Travel Trailers. continues to get great reviews. Protect your RV and your family while on the road. these things work – you always get stuck in the most unlikely places. Dometic Operation Manuals: Downloadable manuals for Dometic appliances. detailer from Orange County California. 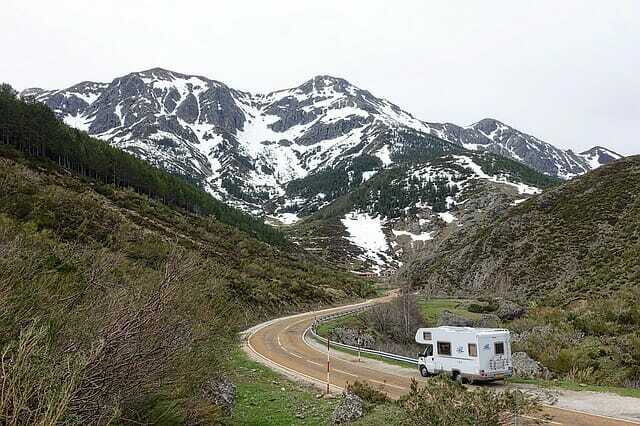 Happy Trails RV Service: Affordable and Mobile RV repair service in Central Florida, 24 Hr. On-Call Service with Certified Technicians, Ocala FL. tips in a guide you can download right now! Driving Laws: Learn the driving laws of all the U.S. states and the District of Columbia. Handy RV resources. Fire Safety by Mac the Fire Guy: This site provides helpful articles about fire prevention and safety. Worthwhile education on an important topic. Make your RV Cleaning easier with a Little Giant Ladder! Little Giant Ladders are very sturdy and versatile ladders. If you have the space (like on the back of your RV), they can provide safety for those jobs around the RV. Available in a selection of sizes and shapes and you can get free shipping. “Fun and fellowship” is our motto. : Easy way to get discounts on campground stays across the country. Reserve America: Campground reservations and more RV resources at this helpful site. Happy Camper Discount Camping: Get 50% off camping rates at participating parks. Harvest Hosts is the first membership program of its kind in the United States to provide RV owners with FREE overnight stops at wineries and farms across the country. An interesting RV resource. RV Guests offers members free overnight RV parking at NW farms, wineries, museums, historic sites and more. Membership Campgrounds: Discount camping and membership campgrounds may be help you save money. We share our thoughts on this subject. Service & Sales & Refrigerator Manuals also available. Mountains, Canadian Maritimes, East Coast (Maine to Key West), Gulf Coast (Ft.
Myers to Padre Island), Baja Mexico, RV Fitness and more! RV Transport: What you need to know. Retire to an RV: A great guide to making your own decisions about the RV lifestyle, with perspectives from many fulltimers. Get real-life insights and lessons-learned from RVers who have been through the process and are enjoying their RV retirement. RV Shows: A good way to learn about RVs. their taxes, but this makes it easier.